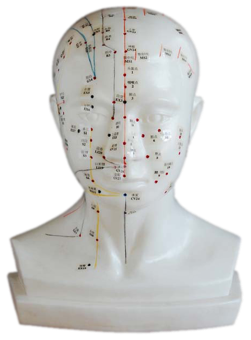 Acupuncture is a branch of traditional Chinese medicine (TCM) and is one of the oldest forms of medicine known to mankind. It has been practiced and constantly refined for the last 3,000 years. It is a system of treatment that acknowledges the human body as a powerful energetic system that is often capable of healing itself, when the skilful stimulation of specific meridian points is used to re-balance the bodys internal environment. Traditional Chinese Medicine (TCM) is a holistic alternative to conventional Western treatments, meaning we take an in-depth look into the mind, body, and spirit of a person as a whole to trigger the body's natural healing response. Instead of masking symptoms, TCM treats the root of the illness to heal the entire body and prevent future suffering. ﻿As ﻿a ﻿former ﻿teacher, ﻿I ﻿have ﻿first ﻿hand ﻿knowledge ﻿of ﻿what ﻿chronic ﻿tension ﻿and ﻿stress ﻿can ﻿do ﻿to ﻿one’s ﻿body ﻿and ﻿spirit. ﻿I ﻿was ﻿drawn ﻿to ﻿the ﻿fields ﻿of ﻿Acupuncture, ﻿Traditional ﻿Chinese ﻿Medicine ﻿and ﻿Manual ﻿Therapies, ﻿such ﻿as ﻿Therapeutic ﻿Bodywork, ﻿through ﻿a ﻿desire ﻿to ﻿support ﻿others ﻿through ﻿their ﻿own ﻿health ﻿and ﻿wellness ﻿journey. ﻿Over ﻿the ﻿past ﻿decade ﻿I ﻿have ﻿developed ﻿my ﻿skills ﻿by ﻿working ﻿with ﻿a ﻿variety ﻿of ﻿patients ﻿suffering ﻿from ﻿pain ﻿due ﻿to ﻿injuries, ﻿chronic ﻿health ﻿issues ﻿and ﻿high ﻿levels ﻿of ﻿stress. My ﻿qualifications ﻿include ﻿Acupuncture ﻿and ﻿Clinical ﻿Medicine, ﻿Chinese ﻿Herbal ﻿Medicine ﻿and ﻿Sports ﻿and ﻿Therapeutic ﻿Massage ﻿as ﻿well ﻿as ﻿Manual ﻿Lymph ﻿Drainage. ﻿I ﻿have ﻿also ﻿completed ﻿a ﻿number ﻿of ﻿advanced ﻿courses ﻿in ﻿my ﻿fields ﻿of ﻿study ﻿which ﻿have ﻿enabled ﻿me ﻿to ﻿treat ﻿specific ﻿sites ﻿of ﻿injury ﻿and ﻿pain ﻿with ﻿expertise ﻿and ﻿to ﻿tackle ﻿chronic ﻿ailments, ﻿especially ﻿in ﻿the ﻿area ﻿of ﻿women’s ﻿health. ﻿My ﻿therapy ﻿is ﻿an ﻿intuitive ﻿combination ﻿of ﻿techniques ﻿which ﻿leave ﻿my ﻿patients ﻿feeling ﻿energized, ﻿balanced ﻿and ﻿pain ﻿free. ﻿I ﻿enjoy ﻿providing ﻿the ﻿perfect, ﻿safe ﻿space ﻿for ﻿every ﻿patient ﻿to ﻿unwind ﻿and ﻿heal. ﻿My ﻿sessions ﻿are ﻿not ﻿'one ﻿size ﻿fits ﻿all', ﻿and ﻿each ﻿is ﻿tailored ﻿to ﻿the ﻿individual ﻿patient’s ﻿specific ﻿needs. ﻿As ﻿the ﻿patient’s ﻿body ﻿heals ﻿and ﻿as ﻿their ﻿needs ﻿change, ﻿so ﻿will ﻿the ﻿recommended ﻿treatments. ﻿I ﻿enjoy ﻿providing ﻿the ﻿opportunity ﻿to ﻿experience ﻿the ﻿benefits ﻿of ﻿Acupuncture ﻿and ﻿TCM ﻿and ﻿getting ﻿every ﻿patient ﻿back ﻿to ﻿their ﻿optimum ﻿self. Most private health schemes cover acupuncture when performed by a properly qualified and licensed practitioner. I am a registered practitioner with the ACI (Acupuncture Council of Ireland); ACI members are approved by Aviva, VHI, Laya Healthcare and HSA for Out-Patient insurance purposes.